Excellent local food and hospitality! You may taste a blend between traditional Portuguese food and it's reinvention. One of the best in town. 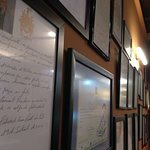 We may see some of the reviews of famous people on the wall. Lovely typical Portuguese food. 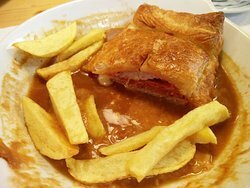 Of course the Porto francesinha is on the menu. I recommend the Bife no Churrasco com Feijão Preto. Very friendly staff. 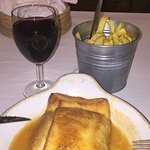 Portuguesinha is a must Try dish at this nice and Cousy and typical Portuguese food restaurant. 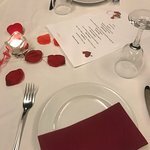 Waiters are over the top as it's common in Porto region. Original Five star food. Very good traditional local food. The menu varies according the daily market offers. Friendly staff. 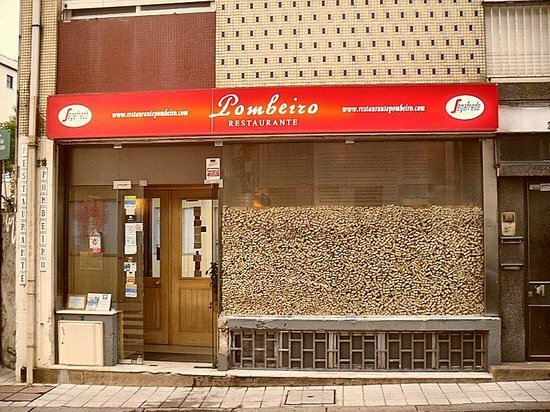 Get quick answers from Restaurante Pombeiro staff and past visitors.